What other quotation than that of Emperor Napoleon we would be better able to describe the origin of AXIOM? 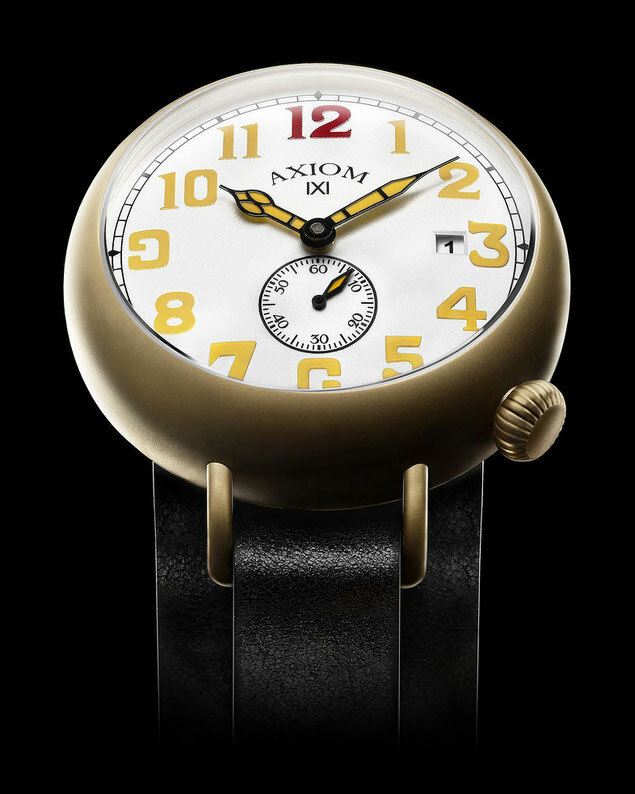 Born of our ardent desire to create exceptional timepieces, forged by our passion for Art, History and Architecture, AXIOM is a dream come true. Of a timeless style, it is far removed from the passing tendencies, but turned towards an eternity, our timepieces are entirely imagined in our workshop, here in France. Using unsurpassed, highest, quality materials such as steel 316L, sapphire glass, selected calfskin or the Moonlight process for luminescent elements, our watches are intended for all uses, daily as well as extreme, so that their owner is never limited. This is our vision of watchmaking. And even though the inspiration is drawn from the elegance of the most prestigious era of military watches, our technology is resolutely avant-garde. Be vibrant with our timepieces and with the beating hearts of the last generation, rocked by all the force of an inextinguishable passion, so that AXIOM resonates in this 21st century.